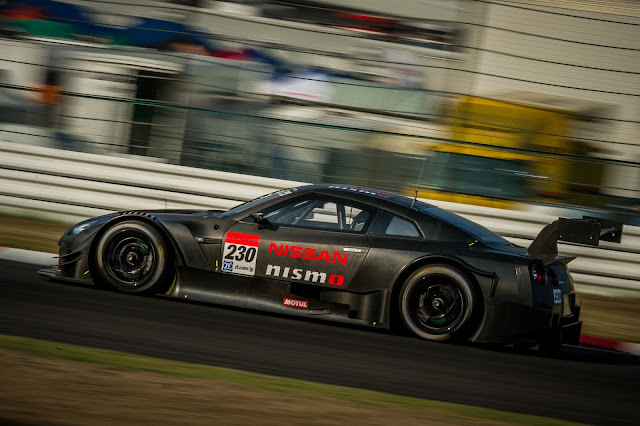 For 2014 the Super GT race series has decide to align their rules with the German Touring Car Championship (aka DTM). Today Nissan and NISMO have released some pictures and information on their GT500 Nissan GT-R. This weekend the car will be at Suzuka for some demonstration and shake down runs. 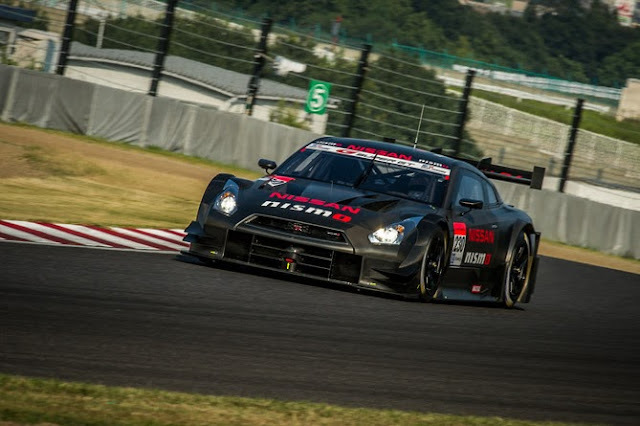 In addition, the 2014-spec Nissan GT-R NISMO GT500 is scheduled for exhibition and demonstration runs at the NISMO FESTIVAL, to be held at Fuji Speedway on Sunday, December 1st. 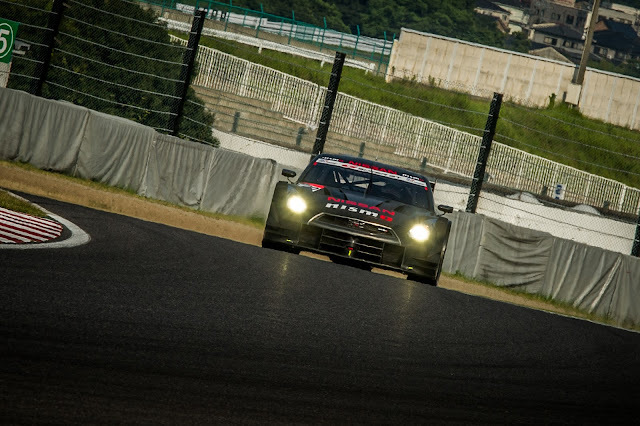 Event details about the NISMO FESTIVAL will be posted on the NISMO website (http://www.nismo.co.jp) as soon as they have been decided. The new car looks closer to the OEM car. The current GT500 car looks very stretched. Check out the hanging wing. GT500 Nissan GT-R coming at ya.